Can't get past the chef. what are you supposed to do when he throws the soup in stage 2. Tried blocking it doesn't seem to work. Hi! Yeah its a tricky fight since its supposed to be the third boss of the game. The trick to the fight is to dodge to the sides when he throws soup. If you see him moving to the left move to the same direction. And to beat him you have to grab the bad food like the rats and throw it at his face and the good food you have to put it on the pot. Really enjoyed this game, while editing i realized how much i missed... but very different and fun! Thank you for playing the demo. Stay tuned for the full game! Great Game! Love the premise, but the walking around gives me motion sickness. Oh! We're going to pay more attention to those problems! This game is absolutely beautiful. I can't wait to play more of it! Thanks for your Let's Play! We hope you had fun! Link me in a message or a comment on one of my videos over on YouTube. I can't find the game you're talking about. Thank you! And stay tuned for the full game, it will have more awesome bosses! Love the premise, love the music, love the visual aesthetic. I was surprised how smooth the 3D exploration sections were. I can't beat that damn chef though! He seems to have a million health and the only way I can avoid his attacks is to roughly dodge every 4-5 punches. I featured this game in my series - free game friday - and was suprised at how much fun this was! Thank you! We're glad you had fun with the demo! Stay tuned for the complete game! Only on face book on twitter ? Such an unique experience, loved this game 10/10 would Punch-Out!! again! Thanks RVZ! We're happy that you enjoyed the game! Great video! Really unique style and gameplay. But the chef fight killed it for me. Even that had some good ideas, but the randomness, lack of control and sheer number of factors working against you just made it a hugely frustrating button mashing experience. Not the best game in my opinion. There's a heavy lag between pressing the buttons and actually taking action. Also, something that could make the game 10 times better would be a health bar. Another thing would be to add color so you could focus and your eyes wouldn't have a hard time distinguishing shapes. The controls are a little slippery, but whatever. There's a lot to fix, but of course, this is just a demo. Thanks Ellactric29! We are working hard to improve the full game! Stay tuned! I will! Thank you for taking my feedback into account. This was so darn good! I love the style, the silliness and the action. Really looking forward to seeing more! Hey Mikey!!! We really appreciate you liked the game so much! We are launching it on October of this year, if you want to get updates on the development follow us on Twitter or like us on Facebok! just uploaded a video on this really enjoyed it, good visuals. Thank you very much Coh-bear we really appreciate it! Love that you have your own Story to this new take on such a great game! Thanks Raithias! Hope you liked it! Awesome game. 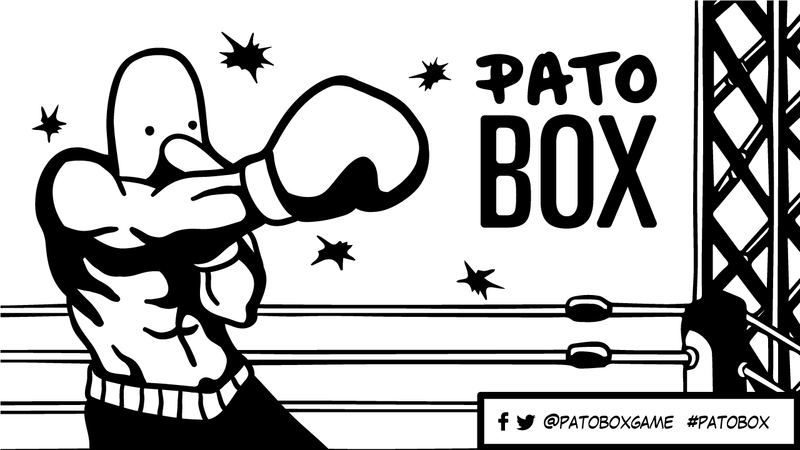 I love Punch-Out and I think you did an excellent job at mixing it with an adventure game. Nice game! I like the art style and the noir/crime atmosphere, with a cool touch of humor. The gameplay is unforgiving! But I enjoyed my time playing.